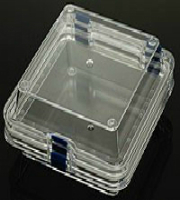 Gel-Pak is the leader in innovative packaging solutions for handling, transporting and processing small, valuable devices. For more than 25 years, Gel-Pak’s proprietary Elastomer Technology serves as the basis of the films, trays and carriers that are configured to meet the safe handling and shipping needs of manufacturers of advanced devices. 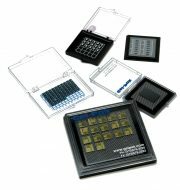 Gel-Pak packaging solutions are widely adopted in the semiconductor, optoelectronic, fibre optics, telecommunication, medical, automotive industries. Gel-Pak, established since 1980, is headquartered in Hayward, California. Companies that are using Gel-Pak products range from small startup manufacturers to Fortune 500 companies. 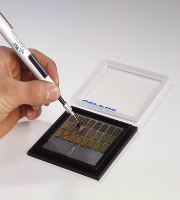 Gel-Pak products are made from “Gel”, a highly cross-linked proprietary polymer material. 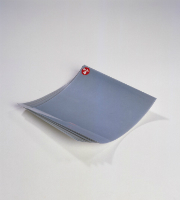 This material holds a device securely in place on contact based on surface tension. It is however weak in the peel direction, thus enables the device to be easily unloaded from the Gel surface. Check out our full range of Gel-Pak products or contact us for more information. Check out our stock list for a quick turnaround.